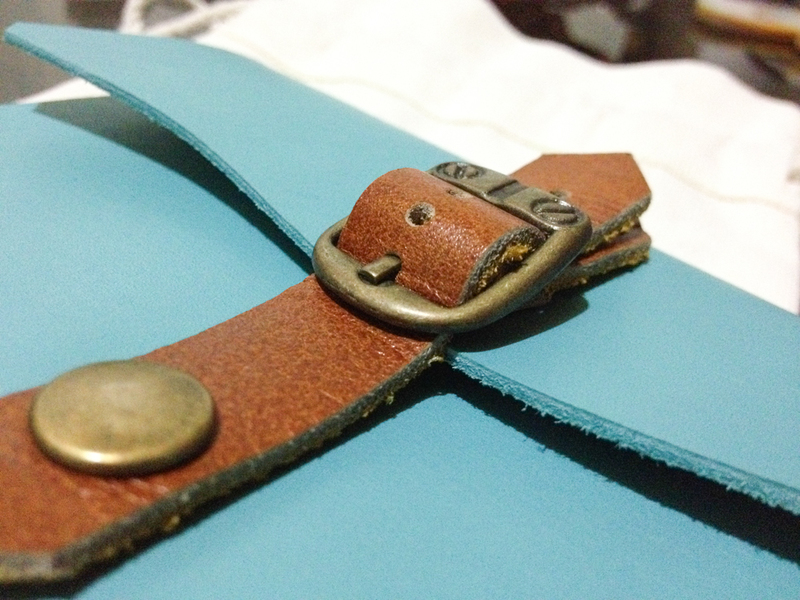 The journals come with this cute pouch. 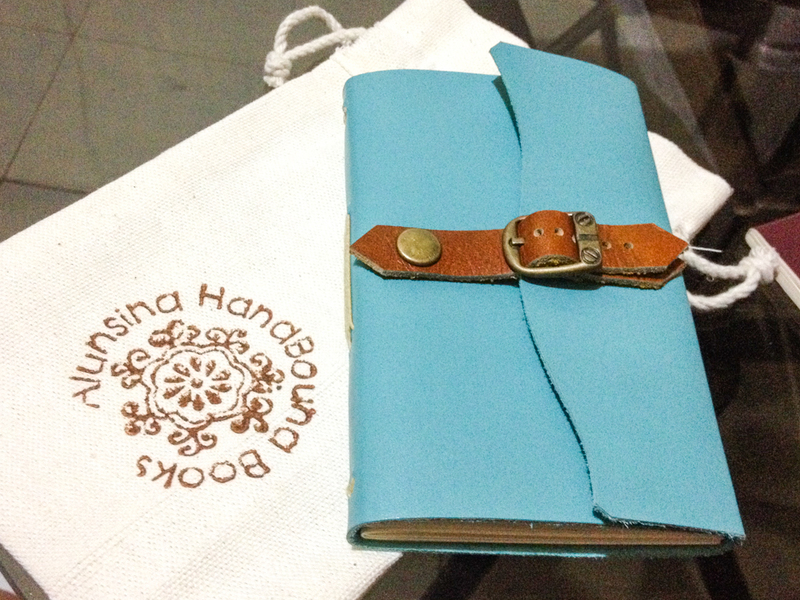 I’ve always loved Alunsina journals. From the first time that I saw them through a friend on Facebook, I’ve only used their leather bound books for my journal. However, when I switched to fountain pens, I had to regretfully stop using them too because they’re not fountain pen-friendly. So when they announced last month that they have switched their paper to something more fountain pen-friendly, I knew I had to try it. 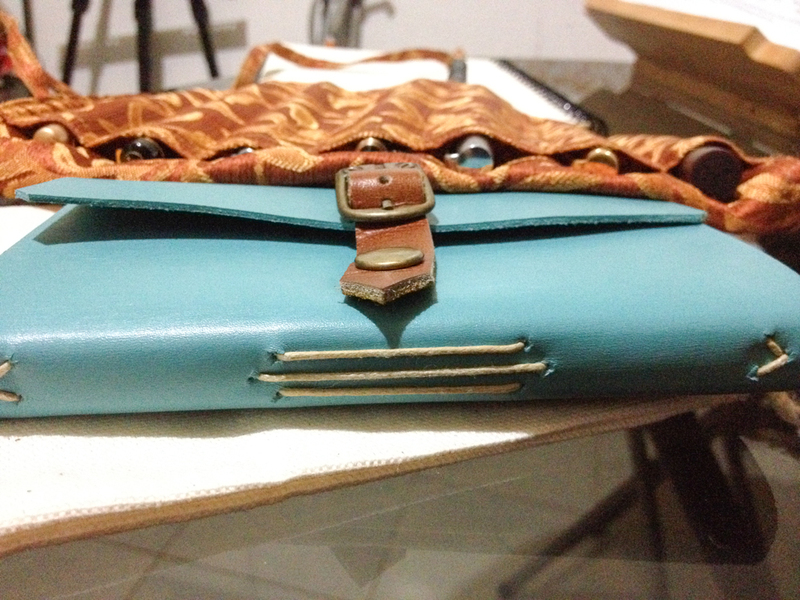 I heard that they were at the Makers’ Market at Zonta Alabang so I dropped by specifically for them and bought a Kislap traveler’s journal for my husband and a small journal for myself. I already ordered a Kislap for myself and a full-sized journal but I had them personalized with my name so it’s gonna be delivered to my place instead. I love all of the little details of this journal. From the color of the threads that they use, how they sew up their paper to the leather cover, the clasps and buckles that they add, even the way their paper doesn’t look machine cut. It looks very handmade and I love that look. 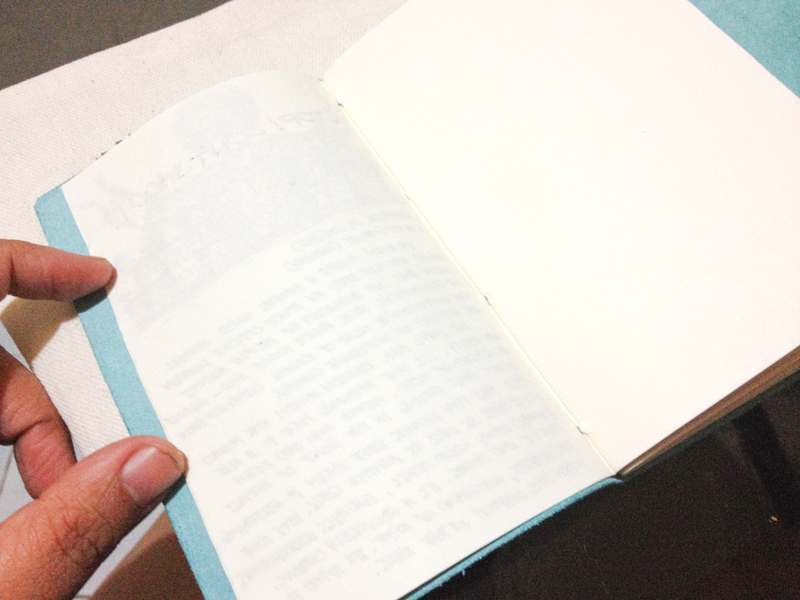 Perhaps the only thing that some people may not like about Alunsina journals is that (except for the refillable notebooks for Kislap) their paper is unlined. I don’t mind that at all. I tend to doodle a lot in my journals, so I actually prefer unlined notebooks. The new paper for Alunsina is 85gsm, ivory-colored paper. 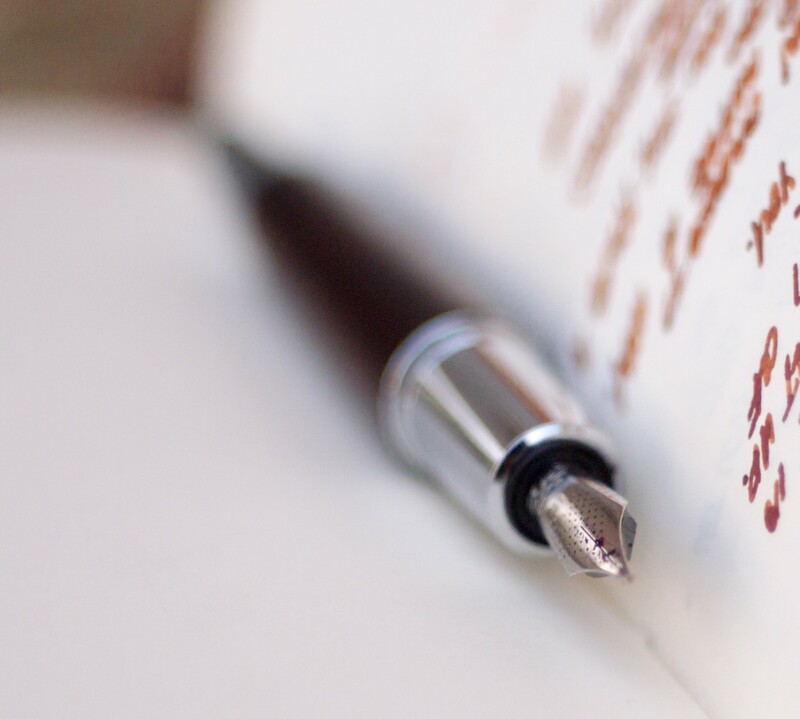 It’s smooth and you can see right away that the coating on the paper will make it both pleasant to write on and fountain pen-friendly. 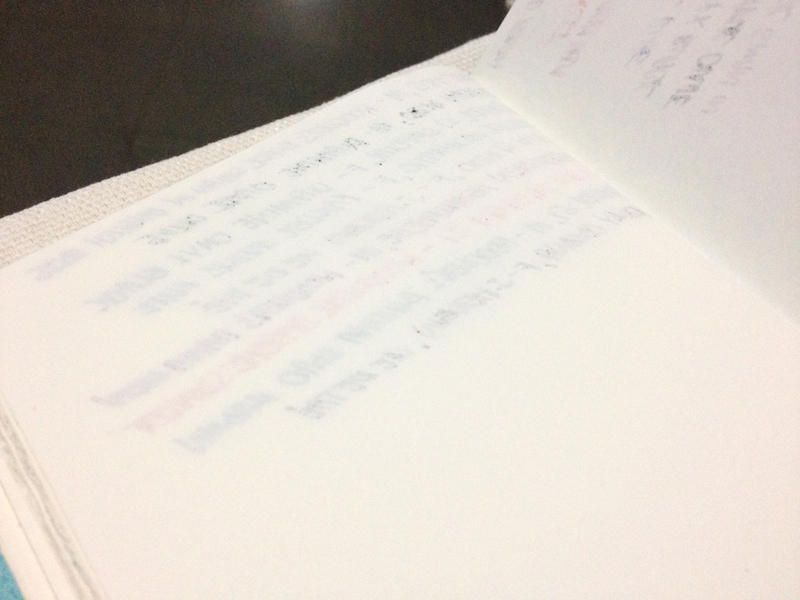 The paper looks thin, so I was initially worried that it might not take well to my fountain pens because I prefer my pens medium and gushing with ink. As you can see, not even the drawing bled through the page. 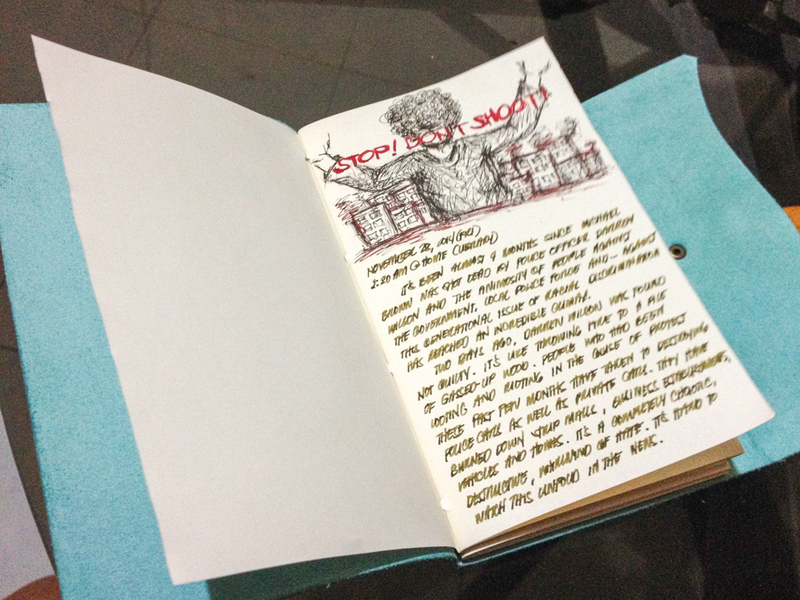 The paper is smooth but, unlike Midori paper, it’s not so smooth that it doesn’t absorb ink too well. The writing shows through, and that’s another thing that I like. 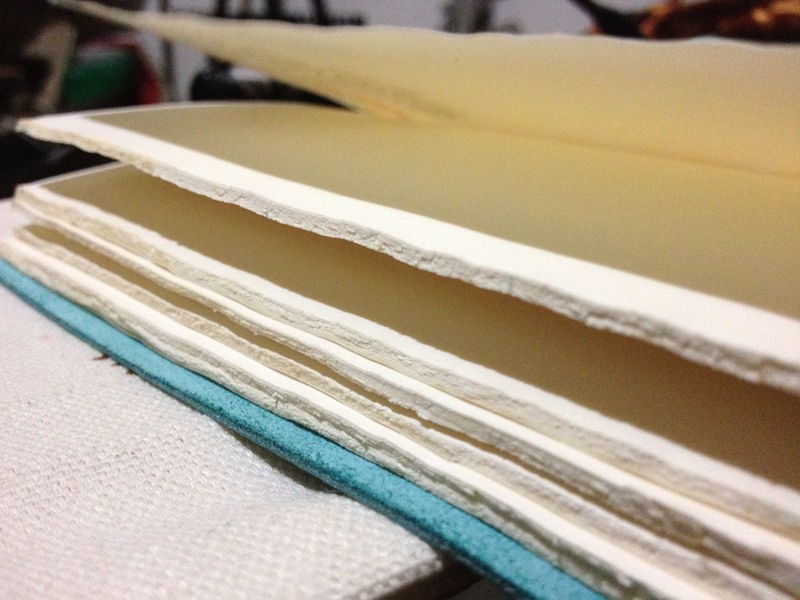 I don’t really like paper that is too thick, so it’s a challenge for me to find notebooks with paper that aren’t too thick but where ink won’t bleed through. 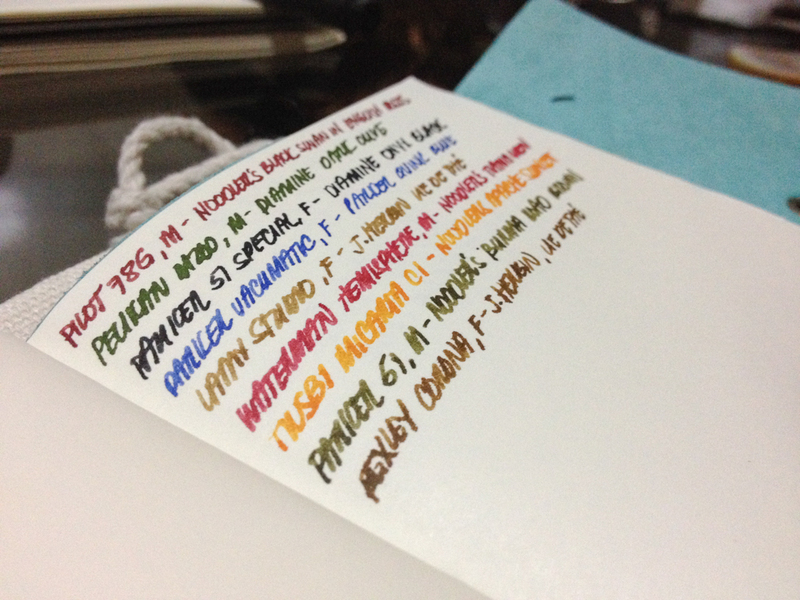 I currently have nine pens inked at the moment, all of them very wet writers (even the fine nibs). As you can see, there’s no feathering. It shows off the shading pretty well. At the back, it shows through but they don’t bleed through, with the exception of my Pelikan M200. It bleeds through a little bit because it’s my wettest writer, and the combination of Diamine Olive Green makes it prone to bleed through even on my other journals.